Crack three eggs into a large bowl. Lightly beat eggs and slowly add in water. Do not beat it too hard as air may develop in the egg. Strain egg mixture with a sieve into a shallow bowl and cover with heatproof cling wrap or aluminium foil. Ensure there are no bubbles before steaming as we want a smooth and silky surface. Place the bowl on to a steamer rack and steam over low heat for 10 minutes or until its set. While waiting for eggs to be steamed, fry minced garlic till its golden brown in colour. Set fried garlic aside together with the oil. 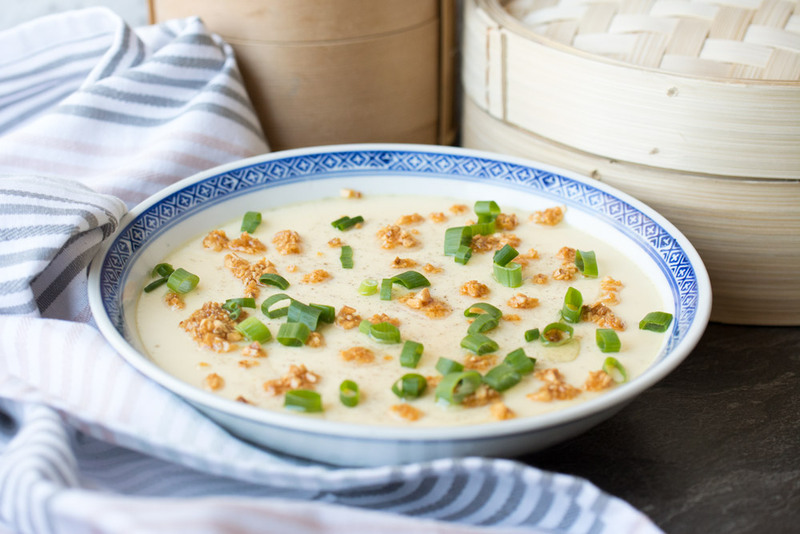 Once steamed eggs are done, sprinkle the fried garlic with oil, light soy sauce and spring onions over it. Serve hot with rice.